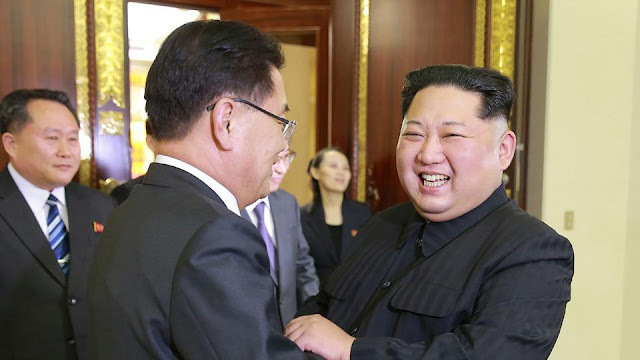 Seoul (Agenzia Fides) – While the leaders of North Korea and South Korea met for an inter-korean Summit on 27 April, South Korean Catholics in the different dioceses were praying that the meeting would be a success. “It is our most sincere desire that it will launched a long term talks. Dialogue can open the doors to peace, prosperity and reconciliation in the region”, Fides was told by Fr Ho Chang. The history making meeting between North Korean leader Kim Jong-un and South Korean president Moon Jae-in was held on Korean soil, just south of the village of Panmunjom, inside the demilitarised territory where the end of the Korean war was signed in 1953. This is the third such summit, after two held in the past in Pyongyang, North Korea, the last one 11 years ago. Kim Jong-un is the first leader North Korean leader to cross the frontier and enter south korean territory since the end of the Korean war in 1953. The summit will focus on a possible giving-up of nuclear weapons on the part of North Korea and is propaedeutic to a meeting between Kim and the president of the United States Trump scheduled for early June. “The whole world is watching the summit with attention and with hope. In South Korea Christians as well as other believers in Asia hope this event will be decisive for opening a marvellous opportunity for dialogue”, says Fr. Ho. Prayers for peace are incessant also in other Asian countries: in Chiang Mai, Thailand, the CCA, ecumenical Christian Conference of Asia comprising leaders of various Christian confessions, held special prayers for a positive outcome to the summit.